Were the tongues “distributed” or “divided” in Acts 2:3? When I first read in Acts 2:3 about how the early Christians received the Holy Spirit and spoke in tongues (or glossolalia), I learned it from the KJV’s rendering of “cloven tongues”. However, this is not necessarily an accurate picture of what may have happened in Acts 2:3. Different translations differ in how they portray the appearance of the flame of Pentecost. This may also impact our theology of the charismata. How is it rendered in the original Greek? It uses διαμερίζω (“diamerizō”, divide, part, cloven). The word diamerizō may be defined in several ways: literally in distribution or in appearance, and also, figuratively in dissension. We can rule out the third: dissension. This leaves us with either distribution or appearance. The NRSV, ESV, CSB and KJV all seem to portray flames (or tongues of fire) being “divided” (in the sense of being split in half), and resting over their heads. (Notice first picture below on the left with the divided flames). The NRSV/ESV/CSB renderings interpret diamerizō in such a way that it leads the readers to view the flame as the object of the matter. As a result, the reader will focus on the physical appearance of the flame, rather than, the action of the flame. ESV: And divided tongues as of fire appeared to them and rested on each one of them. CSB: And tongues, like flames of fire that were divided, appeared to them and rested on each one of them. NRSV: Divided tongues, as of fire, appeared among them, and a tongue rested on each of them. When I read the New English Translation (NET), I noticed that the flame is not “divided” (in the sense of not being split in half), but rather, it is “distributed” and “spread out” amongst the people. Notice NET’s rendering of “spreading out” projects an action of distribution, rather than, a static image of physical appearance. The word diamerizō may be interpreted as being distributary or dispersionary, which is also in line with the Spirit’s nature of distributing gifts or charismata. This helps the reader to perceive tongues in a more active sense (like fire in a raging forest fire). NET: And tongues spreading out like a fire appeared to them and came to rest on each one of them. The Revised English Bible (REB) use of the word “distributed” also portrays an image of tongues of flames being distributed in the dispersionary sense. This rendering of diamerizō is dynamic too. REB: And there appeared to them flames like tongues of fire distributed among them and coming to rest on each one. The NLT, however, completely avoids making any interpretation regarding the appearance or distribution of the flame, all though it tends to focus on its appearance rather than action. Perhaps its translators didn’t know how to properly render diamerizō. NLT : Then, what looked like flames or tongues of fire appeared and settled on each of them. The TNIV could be interpreted either way. TNIV: They saw what seemed to be tongues of fire that separated and came to rest on each of them. I tend to prefer the NET bible’s rendering because it allows for γλῶσσα (“glōssa”) to be interpreted as a language that is dynamic and is actively spread out or distributed to others, rather than a tongue of flame being a static object. The REB is my second choice. Posted on May 21, 2010 May 26, 2010 Categories bible translations, bibles, charismatic, textual issueTags Acts 2:3, charism, charismata, flame, glossolalia, pentecost, speaking in tongues2 Comments on Were the tongues “distributed” or “divided” in Acts 2:3? This coming Sunday, May 23rd, marks a very special day in the church calendar: Pentecost Sunday. The term “Pentecost” comes from the Greek word pentekostos, meaning fiftieth. Fifty days after Passover, Jewish people celebrated Shavuot (also called Festival of Weeks or Harvest/Reaping (Hebrew: חג השבועות, Ḥag ha-Shavuot) as found in Lev. 23:15–21; Exo. 23:16. Jewish Pentecost became one of the great pilgrimage feasts for the post-exilic Jews. Diaspora Jews made pilgrimages back to Jerusalem. For Christians, this celebration of Pentecost has been a long tradition. It is one of the most important celebrations after Christmas and Easter. 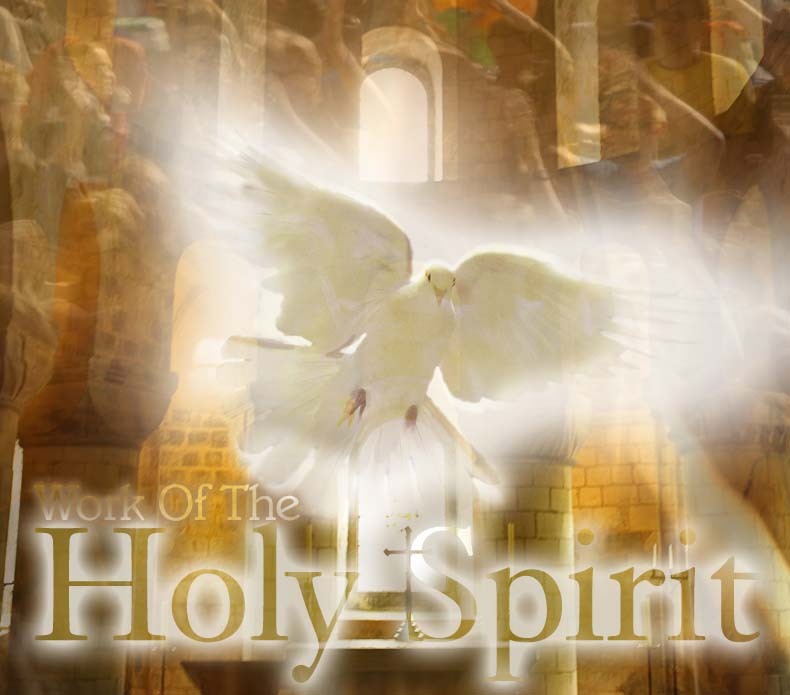 Since about the 2nd century, Christians have since celebrated the coming of the Holy Spirit 50 days after the death and resurrection of Jesus, on the Jewish feast of Pentecost. This was witnessed or testified by the charisms/charismata being endowed up0n followers of Christ during the Festival of Weeks in Jerusalem. This day marks the birth of the universal church of Christ on earth and many churches will be celebrating Pentecost Sunday. Pentecostal and charismatic Christians regard the word “Pentecost” with greater relevance for today because they claim that the gifts (“charismata”) of the Holy Spirit are still being practiced today, and to a greater extent in Asia, Africa, and South America. Testimonies and claims concerning the charismata (gifts of the Holy Spirit, e.g., Acts 2; 1 Cor. 12) being exercised in the church seem to be less frequent in the northern hemisphere (i.e., North America, Europe) and more frequent in the southern hemisphere. Why? Over at Parchment and Pen, Michael Patton has a post on “Why I am not Charismatic“. Blogger, TC Robinson at New Leaven has also posted his reaction on Patton’s post, and on Augustine here too. Patton, President of Reclaiming the Mind Ministries, calls himself a de facto (soft) cessationist. However, he is open to the spiritual gifts. I personally have friends who were raised as cessationist but became continuationist due to evidence that the charismata (gifts) are still in existence today. Personally, I don’t think the cessationist view has strong biblical footing. Its claims tend to be weak and seem to be based on narrow interpretations and man-centered theology that isn’t scripturally-based. The continuationist view, on the other hand, has a very strong position based on scripture and theology and is backed by the history of many early church fathers. But enough about my personal view…Read Patton’s post linked above. A new blog on continuationism that I’ve just come across is continuationism.com (“To Be Continued…”) whose authors are Scott Lencke, a Reformed charismatic, and Marvin Cotten who has been a bible translator with Wycliffe [edited]. Check it out. The Holy Spirit is on the move today. World missions once flowed out from western nations, but today, world missions is flowing out from southern nations into other southern nations. Our image of Christianity as a western thing is changing. The old image of missions and evangelism is also dead. Our idea of the western world being the place where Christianity goes out from into the rest of the world is now long gone no longer true. An average Christian is no longer a rich Caucasian person from Europe or North America. The normal average Christian today can be described as a poor woman or man living in, e.g., West Africa, China or Brazil. In 2004, there were more Roman Catholic baptisms in the Philippines than in Frances, Spain, Italy and Poland combined. This is the latest thing that the Vatican obsessed with. South Korea is already the number one missionary nation in the world. Korean evangelical-pentecostal missionaries are going forth into all the world preaching and teaching the gospel and are willing to be martyrs for Christ. Western Christianity is dying but global southern Christianity is growing at an astounding rate. It is like an unstoppable freight train that is roaring through the global southern hemisphere of the world. Demonic possession in liberal Christianity is minimized to a level of merely psychosomatic illness—but not so for global south Christians. The Luke 8:26-39 is read as a real historical story because these exorcisms and healings are happening every day in global south churches. This is not only a normal thing happening in pentecostal churches, but this is also a normal in traditional mainline churches, including Anglican, Lutheran, Methodist, Presbyterian, etc. Countless healings also happening in Roman Catholic masses during the Blessed Sacrament. Decades ago in the west, no one would have thought that Charismatic type of Christianity would become so dominant. Today, Charismatic-pentecostal Christianity, which recognizes the move of the Holy Spirit’s gifting as a present-day reality, is the 20th century’s number one religious phenomenon. This is definitely not a passing fad; it is a long-lasting movement that will make an indelible mark on the universal Christian church forever. The Holy Spirit is on the move today. * I was inspired to write this post after listening to Dr. Philip Jenkins, professor of history and religion at Pennsylvania State University, and author of the book Next Christendom (2002). He spoke at 2005 National Vineyard Conference (where there are also sessions by Dr. Gordon Fee of Regent College) (Hat Tip: Justin K). In mainline Lutheran, Anglican, Methodist, Presbyterian churches, we are seeing a constant and continual drop in church attendance. Something has got to change! But when we look at evangelical churches, attendance tend either remain stable or are flourishing. What is the difference? What are evangelical churches doing that is different? Some might ponder if it’s just some gimmick. I have no doubt that there is no gimmick. I think mainline churches have a lot to learn from evangelical churches. Evangelical churches are simply more in tune with God’s clear sense of mission and evangelism than mainline churches. Evangelicals are clear in encouraging that every disciple should engage in personal evangelism. How evangelism is engaged may vary widely. Worship may also vary widely. Not all evangelical congregations use drums or electric guitars. Some are still in the stone age using organs, but the commonality is in the attitude of the believer: everyone is encouraged in the teaching and preaching to have a mindset of fulfilling God’s mission on earth. For some of you reading this, this is pretty old hat and may seem strange I’m talking about this like as if it was exciting and cutting-edge missional stuff. But for the old church world, evangelism is like a bad word. The source of this mindset or attitude, I think, is the experience of God’s love. When believers experience the love of God in their lives in a spiritual way and also in a tangible way within the congregation, the Holy Spirit transforms the believer into a Christ-loving individual. When the individual loves the Lord God, one will understand the importance of sharing the love of Christ with others around them. This might translate into an engagement in some type of evangelistic activity, either on a personal level or congregational level. That’s how the gospel transforms people and an entire society. This is my response to the recent posts at InternetMonk.com on the “Coming Evangelical Collapse” (Part 1 and Part 2) and comes as my personal response just after I made my first post (here). I’m sitting here on Sunday night thinking: “Okay, the church seems to be waning” but I ask myself if Christ is still the lord of the church? I believe he is. Michael Spencer may be pessimistic (and perhaps also realistic) about the old-school evangelical church in North America, but I think he may be missing what God is doing around the world. Sorry Michael… but with all this bad news in the decline in evangelicalism, I do not think God is done with the evangelical churches, or even the mainline churches. In fact, I dare say that God will revive the evangelical churches and mainline churches. Jesus is the Lord of the church and will always be the lord of the church. We humans may try to usurp God but think we can figure him out but God is going to confound us intelligent humans by doing something unintelligible. God will transform his church. Who is to say that the evangelical church that iMonk is speaking of will not change? I believe the Holy Spirit will do his work and move in a new and sovereign way to renew Christ’s church. It will look radically different from the old form. It may be scary to us but not to the new generations of new Christians who will enter this new church that will emerge. Let’s never forget what God has done throughout the recent history of the church. God used Martin Luther and John Calvin to give birth to the churches of the Reformation (i.e., Lutheran and Reformed). The Holy Spirit used Luther and Calvin because the Pope, and those high up in the ecclesiastical ranks of the Roman Catholic Church, denied certain evangelical truths. (Note: let’s not get hung up on theology at this point, which can be debated until kingdom come). Later, God used evangelical revivalists such as John Wesley, George Whitefield, and Charles Finney to give birth to the evangelical churches because the churches of the Reformation became complacent. Then God used Charles Parham and William J. Seymour to give birth to the pentecostal churches because evangelical churches became complacent. Now God is using new generations of charismatics to give birth to third and fourth generations of Pentecostal-charismatic churches because the first wave of Pentecostalism has become complacent. Each generation of churches have neglected an important aspect of God’s truth and reality so the Holy Spirit has raised up a new generation to include important aspects of God’s truth in his church today. Today, a new wave that has emerged in the charismatic movement is spreading like wildfire around the world. However, God is not ignoring the older church denominations either. I believe God is merciful and will revive the older mainline and evangelical churches. I do not believe that God wants to throw out the old for the new. While we are seeing a decline in attendance and memberships in many all of the mainline protestant denominations in North America and Europe, the charismatic movement is spreading very rapidly around the world. In fact, it is spreading so fast that we in the western world cannot even begin to keep track of what is happening in the new church around the world. That is where the bulk of the growth is. In fact, the charismatic movement is even giving a re-birth to the old mainline denominations in the developing world (e.g., Lutheran, Reformed-Presbyterian, Methodist, including the Roman Catholic Church). It is through this charismatic revival that the old mainline and evangelical churches are being revived in the developing world through. (Old school theologians may not want to admit to the huge contribution of the charismatic movement but it’s true). Furthermore, evangelical churches around the world are not dying; they are actually also growing very rapidly. This charismatic revival is reviving the evangelical churches around the world too. Baptist churches around the world are also growing. In fact the number of denominations around the world are increasing every day. So even though the mainline denominations seem to be in the latter stages of life, and the old-old school evangelical churches (e.g., Baptists) are just entering the latter stage of life, God is reshaping and recreating a new church that will take the place of the old. I am not at all afraid of the future because Jesus Christ is still the lord of the church. Just as old wine is meant to be stored in old wineskins, and new wine is meant to be stored in new wineskins, Christ’s new emerging church will take a new shape and form that we will not recognize. We might be wise to put on our seatbelts and take hold of the handle bars, because God is birthing his church around the world that will surprise the old former Christian world.